My model is a cute little girl, playing with the sand a sunny afternoon at beach. She was so absorbed that day and for so long time, that I couldn't resist sketching her, emphasizing to this adorable face. Then I took some photos of her and later at my studio I painted her, using my sketches and photos. Since then, I often use this child as my model because she inspires me giving me amazing pozes.  Original, signed and ships with a Certificate of authenticity.  Ready to hang -doesn't need frame (it would look great though).  Price includes shipping cost. Please note though, that orders shipped internationally may pass through customs and are subject to import duties, taxes, and custom processing fees (determined by the country the artwork is being shipped to) that are NOT included in the price above and are NOT connected with the seller. The buyer is responsible for the payment of these additional fees, so please check with your country's customs office to determine what these additional costs will be prior to making a purchase.  Ships professionally packaged in cardboard box in 5-7 business days. An order to Greece and EU countries, ships in 1-3 bussiness days. 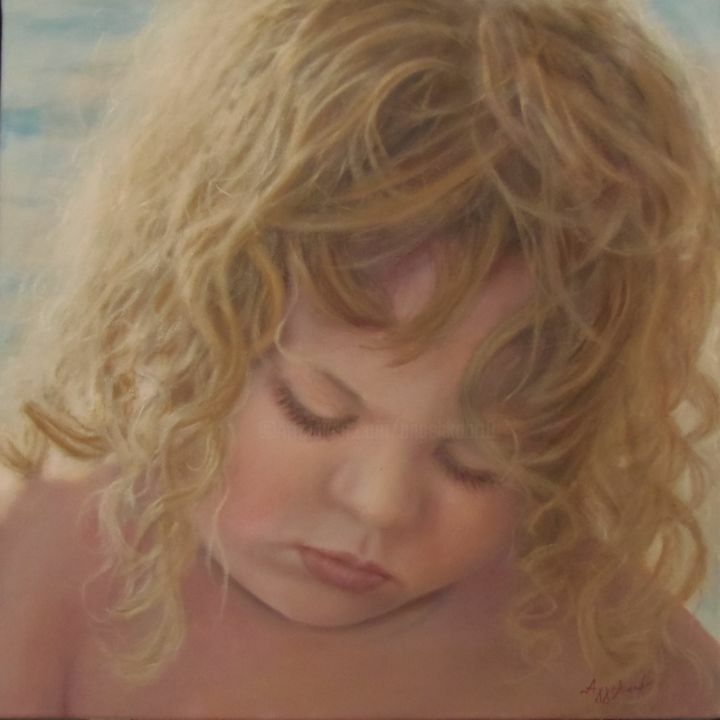  For 2 or more paintings, please contact me for a special deal.